This is part of a series of games based off the Mario Party Minigames. These are great ways to allow students to play a game they play on a gaming system in real life! 1. Boxes. We bought 30 from our local Lowe’s. They are 2x2x2 boxes. Any square boxes will work and they don’t have to be the same size either. 2. Spike Tape. We uses Spike Tape for a lot things. It’s a little more expensive than other tapes but helps to make anything pop. Check out the pack we get HERE. That pack will last you a very long time! 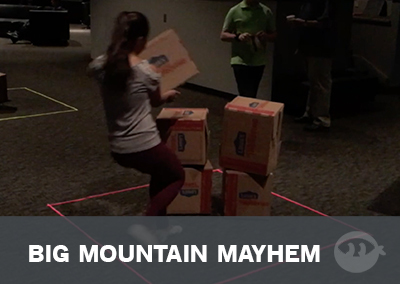 Create a box on the floor using your spike tape in the back of the room. This will be the area that students must bring the boxes to in order to collect points. We split our students into three teams. 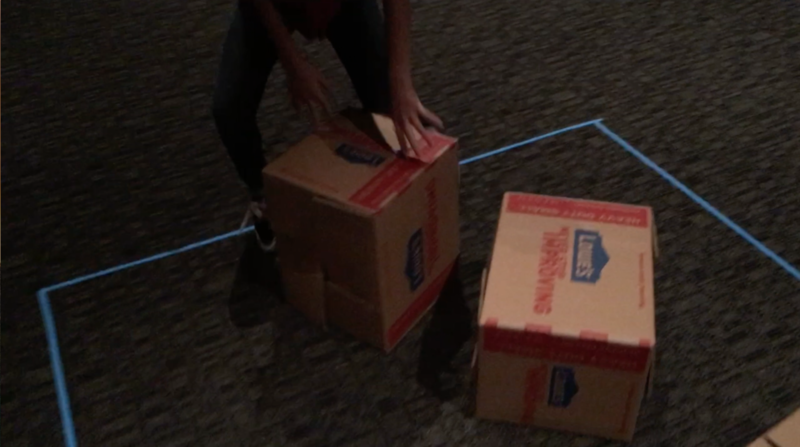 The object of the game is to collect as many boxes at possible inside your spike taped base. We had three teams, one of the right, left and one in the middle. In order to make things a little easier we gave the middle team 3 players while the side teams only had 2 players. 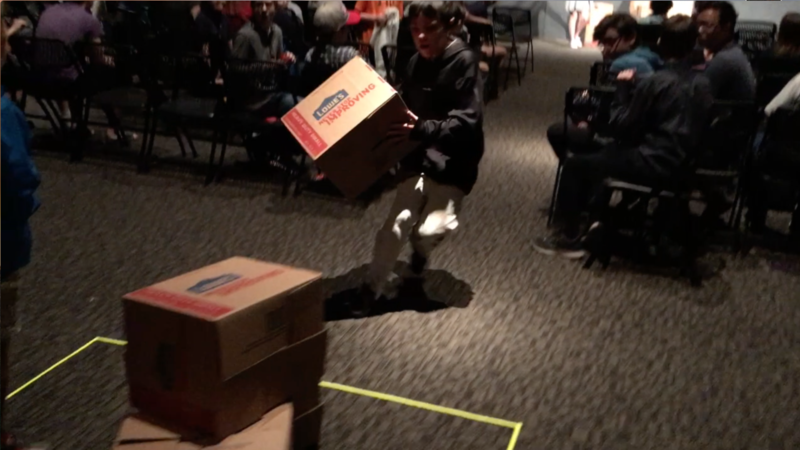 With 30 seconds on the clock each team can only send 1 player to the front of the room to collect as many boxes that they can return back to their square. Here comes the fun part. As soon as all the boxes have been taken from up front you call for a “free-for-all” What this means is that every player can now play and you can steal from the other teams base. 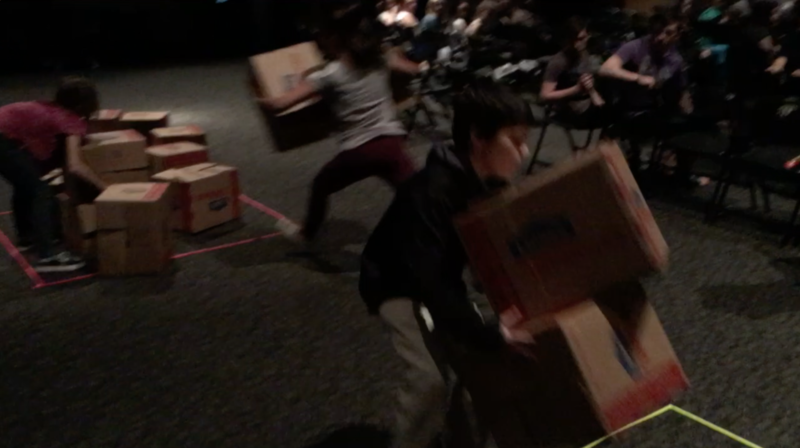 When the time expires everyone must stop and the team with the most boxes in their base become the winners.